These are our general terms for all license types. You can convert the file into any format required for your project. These versions can be made shorter, looped to make them longer so that it fits into your project or spliced together in order to make variations of the playback. 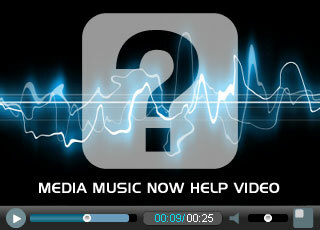 You can reuse the music and sound effects that you licensed from us on other projects. Your licensed audio is accessible via ‘My Account’ when you are logged in. The only time you would need to pay to re-use the audio is if you exceed the standard license limit of 5000 physical units or 5000 sold products on a particular project. The limit of 5000 is on a per project basis. If any project sells more than 5000 units an upgrade to an extended license is required for that project. Please email us if you need to relicense audio from us or if in doubt we are happy to advise you. You can use our music anywhere in the world. There are no territory restrictions. Use it in any country or use it in many countries for as long as you like. You can send a copy to someone else and instruct them to use it as part of your production but you must make it clear that you are the music license holder. This means they must not use the music in their own project and should delete it when the work they are doing for you is finished. If they want to use it in their projects they must purchase their own license from us. You can license our music on behalf of your clients. As long as there is a chain of permission you are covered. For example, any questions about the music you licensed on behalf of the client will come back to you which will then link back to us. In this scenario you are the music license holder, not your client. If they want to use it in additional projects they must purchase their own license. You can speak over the music or play the music on its own as part of your production or project. The speaking can be part of the audio file or live at an event or PowerPoint presentation for example. If you need a professional voice over we can help. You can sing over the music but only as part of an advertisement or corporate promotion. Not as a song for sale, this is a breach of our license agreement. The license we provide is in perpetuity. This basically means that the music can be used forever. Our music license agreement is created by our system with customer details and track information. This becomes available every time you download a track from our music library and can be downloaded anytime from 'My Account' area. The uses covered here describe our music usage in plain English, however, if you want to see the legal jargon here is a sample of our license agreement. Next: Are there any restrictions that I need to be aware of? Previous: When is an extended license required?